Game night celebrating Tonic's birthday. Lots of wine and cheese and fruit and tahini dip. We played Cranium and Balderdash. 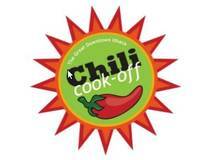 Then the Ithaca Chili Cook Off on Sunday. The vegetarian selections were the best they have ever been... most were excellent. Simeon's Portabella Chili won hands down in my book. The apple crisp was pretty good too.